Proudly serving clients in the Rocklin, San Jos and Fairfield areas since 1996 At the Rocklin, San Jos and Fairfield, California locations of The Law Offices of Denise L. Dirks, we take great pride in helping people with the complex and emotionally difficult area of family law. Our Rocklin location was chosen for its proximity to Sacramento, Yolo and Yuba Counties, and it is ideally situated in Placer County, while San Jos is in Santa Clara County. With our newest location in Fairfield, we can now serve families in Solano and Contra Costa Counties. We have more than 25 combined years of experience with family law cases in this region, and we are more than ready to guide you through these difficult times. Bringing extensive experience and compassion to your case When you come to The Law Offices of Denise L. Dirks, we always strive to give clients the best legal representation available, using our: Respected legal minds The Law Offices of Denise L. Dirks is highly rated both in legal ability and in ethical standards by LexisNexis. We are also a legal provider for several legal service plans. Years of experience With more than 25 combined years of legal experience between both attorneys on staff, we have the familiarity with countless family law cases that you need to get the best chance possible at a favorable outcome. 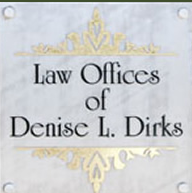 Passion for what we do Although some attorneys might view you as nothing more than a name on a case folder, we genuinely care about you and your family at The Law Offices of Denise L. Dirks. We are open and honest with clients, and we point them in the direction that is best for their entire family. A focused area of practice The Law Offices of Denise L. Dirks can help individuals and families in the following areas: Family law Whether dealing with a divorce, child custody case or any other aspect of family law, we can help bring you closure. Guardianships Our guardianship services can help you when choosing who will look after your child if the worst were to happen. Conservatorships -- If you need to plan for the future of a sick or elderly member of your family, our experience with conservatorship cases can bring you the peace of mind you deserve. Contact The Law Offices of Denise L. Dirks today To schedule an appointment, call our toll free number at 1-888-893-6195 or contact us online today to get in touch with either our Rocklin, San Jos or Fairfield office. Full-service family law firm in Rocklin, San Jos and Fairfield Whether you are anticipating the joys of adoption or you are experiencing the frustrations of marital conflict, The Law Offices of Denise L. Dirks can help. We have served families in Rocklin and San Jos for more than 15 years. With our new location in Fairfield we can now help families in Solano and Contra Costa Counties. We provide legal services in all areas of family law: Adoption Alimony Child custody and visitation Child support Child support modification and enforcement Divorce Juvenile delinquency and dependency proceedings Mediation Pre- and post-nuptial agreements Adoption The Law Offices of Denise L. Dirks assists families with all aspects of international and domestic adoptions. Our attorneys handle the legalities of your adoption so that you can concentrate on your new family. Alimony Divorce should not lead to financial crises. We help you establish an equitable amount of spousal support. Child custody and visitation Our divorce attorneys protect your parental rights to raise your children in an appropriate and supportive home. Child support At The Law Offices of Denise L. Dirks, we can ensure that you receive or pay an equitable amount of the financial support required to raise your children in a healthy, happy environment. Child support modification and enforcement Child support payments do not change unless the court modifies the child support order. If either the custodial or noncustodial parent experiences a significant change in circumstances, we can guide you through the proper legal procedures to modify your child support payments accordingly. Divorce Through mediation or litigation, our divorce law firm can help you gain the most equitable results from your divorce, including fair distribution of assets, division of marital home, child support payments and child custody rights. Juvenile delinquency and dependency proceedings We are skilled at maneuvering through the complex laws of California to protect your parental rights from the interference of government authorities. Mediation Mediation puts the decisions in your hands, and it can often provide more expedient, more predictable results than a trial can. The skilled negotiators at The Law Offices of Denise L. Dirks can help you obtain the most-equitable divorce settlement. 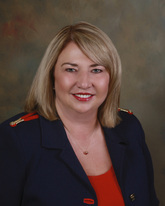 Pre- and post-nuptial agreements The Law Offices of Denise L. Dirks expects the unexpected. We draft premarital agreements that protect both spouses' interests and which can alleviate some of the stress if you ever divorce. Contact dedicated California family law attorneys To schedule an appointment with a California family law firm, call The Law Offices of Denise L. Dirks at 1-888-893-6195 or contact us online today. Recipient, Gary Schaber Scholarship, 1988. Staff Writer, Transnational Lawyer, 19871988. Judge for California and Nevada Lions Student Speaker Program, 1996. Mentor Attorney, Peer Court Judge, Peer Court, 1998. Court Appointed Minor's Counsel, Sacramento County 2002.